Spring has sprung and with springs brings renewal and rejuvenation. Spring is one of the best times of the year to take your workouts outside or enjoy some outside runs here and there. Even if you have never run a race before or have run a few miles in a row there is no better time than the present. Just doing it is what really counts. 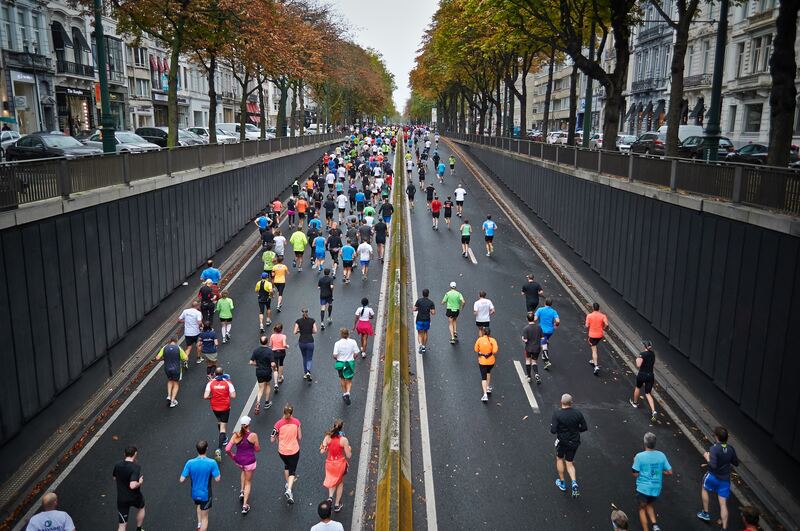 The feeling of running for the first time or running with hundreds surrounding can be pretty intimidating but signing up for a race is really the thing that could hold you accountable to at least try. Here are our reasons why you should sign up for a 5k today and just commit yourself, even if you haven’t begun training. Hey, I don’t mean to sound like they just let anyone into a race, I mean really they do kind of just let anyone sign up for a race but what I am really saying is that you don’t need any prior training to sign up for a race. In fact, there will be someone else in the same shoes as you. Heck, there could be someone that is just walking the race and that is a-okay too. You can even walk the race if it comes down to it. Really committing yourself to something, showing up and trying is the real win here. Even though I just mentioned that you don’t have to race, I bet when you show up and feel all of the energy around you that your body won’t let you not run. It really is an amazing feeling to experience with so many people surrounding you all sharing the same goal: to participate in a 5k and to finish. Yes, you get free stuff. When you sign up for a race you are also signing up to at the very least receive a free shirt or medal. More times than not, you will also get some free food afterward and maybe even a free beer. Who doesn’t love free stuff? Signing up for a 5k and running it may be the best kick in the pants you needed to get yourself being more active this summer. Signing up is literally the hardest part, going for run/walks outside is where the fun starts and then you get to celebrate at the actual 5k with hundreds of other like one huge party. Then afterward, you will experience that runner’s high and want to do it more and more (or not, but you get the idea). Have you run in a 5k before? What was your first experience like?